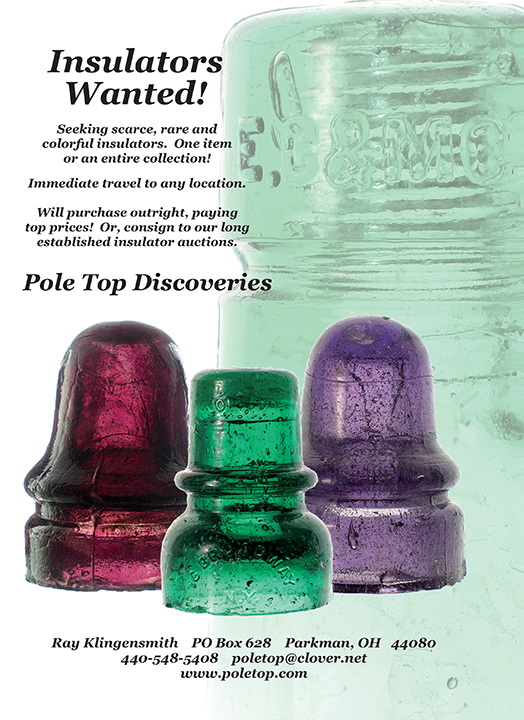 Our first auction of 2019 will be a “Diversity” sale with 380 insulators. Sale will close Wednesday, March 13 at 10 P.M. Questions: check our website at www.poletop.com or contact us via email. Those who have registered to bid in the past do not need to re-register. To get back to this page, click the “x” on the upper left of the zoomed view.